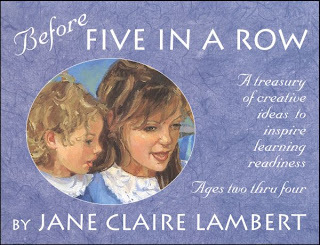 Blessed Beyond Measure: "Before Five in a Row"
"Before Five in a Row"
Not to leave out the eager younger children, this volume provides mini Five in a Row-style lessons for youngsters. This book; however, is divided into two parts, the first being similar to the other curriculum guides. Just as in the original series, each unit is built around a simple, classic children’s storybook. This book differs from the older volumes in that it is not structured around a week. The purpose is simply to provide an array of activities for each book that engage children and lay the foundation for further learning. Some of the activities are subject related, such as Bible, science, math, language arts, and art; others are various skills such as learning shapes, sequencing, colors or problem solving, and the rest are centered on specific topics, like relationships, contentment, birthdays or another book-related idea. The second part of this book focuses on arming parents with creative ideas to build learning readiness. This section is a treasure trove of activities that help develop reading readiness and motor skills or focus on the arts. Additional activities also capitalize on teachable moments that arise during bath time, in the kitchen, or during a trip to the store. Those few brief years of early childhood can never be reclaimed later and many parents discover too late that they pushed too hard and too early for advanced academic achievement. You can’t go back and swing at the park, float paper boats in the rain and do the myriad of play activities with your young children that help build the foundation for learning in a way that also encourages a flood of warm, young-childhood memories. 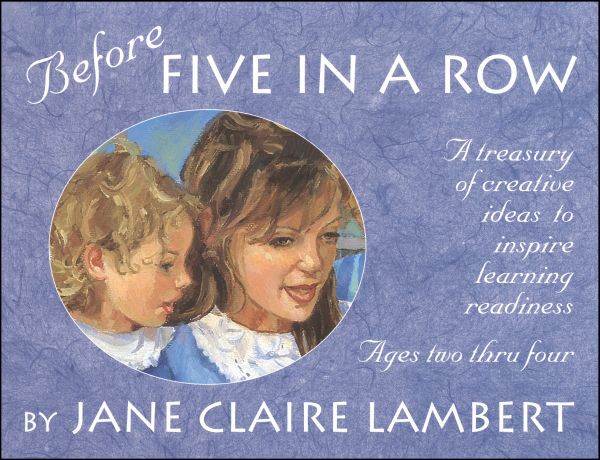 "Before Five in a Row" vision statement: Dedicated to protecting and nurturing the early years of childhood, Before Five in a Row opens up the world of learning through great books and creative play, and builds a solid foundation for more formal education to come. Another book that she recommends is called "My ABC Bible Verses: Hiding God's Word in Little Hearts" (which can be purchased at amazon.com). Popular blog topic today. I am going to have to look into these books.